Dubai, United Arab Emirates: ME NewsWire: Wilo Middle East FZE, the leading pump manufacturer Headquartered in Germany, partook in the 18th Water, Energy, Technology, and Environment Exhibition (WETEX) held in Dubai during 4–6 October 2016 under the theme ‘At the Forefront of Sustainability.’ This marks the fourth consecutive participation of Wilo in this exhibition which is the largest platform gathering investors and decision makers from energy, water and environment sectors. 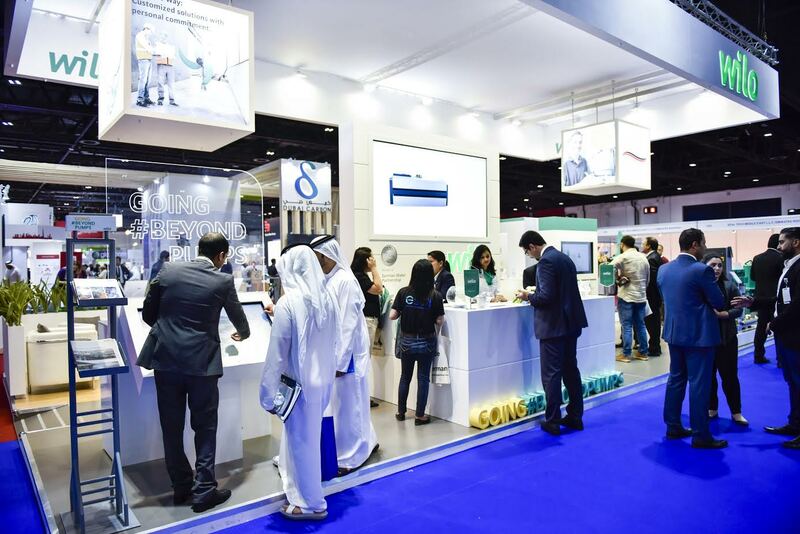 The participation of Wilo Middle East FZE, the Middle Eastern regional platform of Wilo SE, covered all applications displaying different types of pumps used in heating, air-conditioning and cooling, water supply, drainage and sewage and industrial processes. During its participation in WETEX 2016, Wilo displayed its special product the ‘Wilo-EMUport CORE’ which separates the sewage into solid material and pre-cleaned sewage, providing considerable advantages compared to conventional pump systems. With this technology larger solid materials don’t need to be transferred by the pump hydraulics, and the coarser particles are collected in the solids separation reservoirs, while the pre-cleaned sewage flows back through the pump into a collection reservoir. Once this reservoir is filled, one of the two pumps starts based on the liquid level, and pumps the pre-cleaned sewage out of the collection reservoir and through the solids separation reservoir. Notably, this first solid separation system was installed recently at Dubai Metro (salahuddin metro station) to solve the problem of sewage blockage. It marked the first system to be installed in the Middle East, and Wilo is looking forward to install many systems in the region. It’s worth noting that Wilo SE announced earlier this year an investment to build a local facility in JAFZA, Dubai in line with its Middle Eastern Expansion plans. The investment plan consists of constructing offices, a training center, warehouses, Wilo academy and a local assembly plant over an 8,000 square meter plot of land with the aim to serve clients and distributors in the Middle East. The expansion is projected to be completed by the end of 2017. Wilo Middle East has had a presence in the Middle East for over 20 years through its local distributors. With growing markets in the building technologies sector and the introduction of high-efficiency pumps, customer requirements for technical support and services have become more urgent. This prompted Wilo SE to establish a direct presence in the region in 2006 by opening its first Middle East office at Techno Park, in Dubai. In 2008, Wilo Middle East moved to Dubai’s Jebel Ali Free Zone, where it became the WILO SE Group’s Headquarters for the entire Gulf region as well as Yemen. In November 2010, a new facility in south (JAFZA), Dubai was inaugurated to accommodate the company’s regional business expansion. WILO SE is one of the world’s leading manufacturers of pumps and pump systems for building services, the entire water management chain and the industrial sector. The company, who achieved sales of more than 1.3 billion Euro last year, is heavily involved in research and development. The Dortmund-based company is progressively evolving from a components supplier to a system supplier. The Wilo name is internationally recognized as being synonymous with high-tech in the pump industry. The company owes its success to its workforce of around 7,400 employees in over 60 subsidiaries around the world.